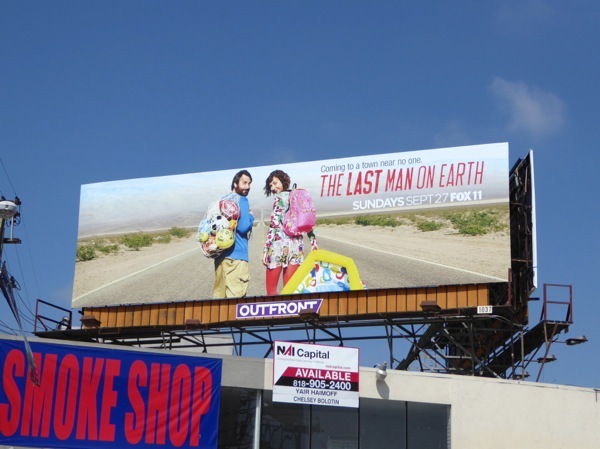 In the first season of the post-apocalyptic offbeat comedy, Will Forte's 'Phil Miller' discovered he wasn't entirely The Last Man on Earth. 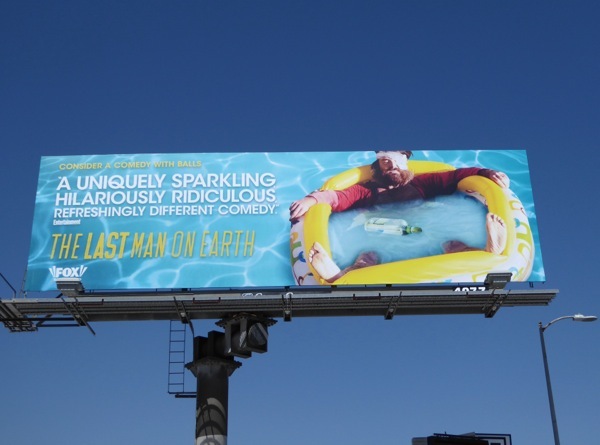 Now he's back for a second season of doing whatever he likes in a world without the rest of humanity, accompanied by his traveling companion 'Carol' (Kristen Schaal). It looks like he may be growing closer with the woman he married thinking she was the last woman on Earth, then divorced, as the budding romance moves into the abandoned White House to get up to all the things you'd never usually be able to do in the Oval Office if it was occupied by the U.S. President. 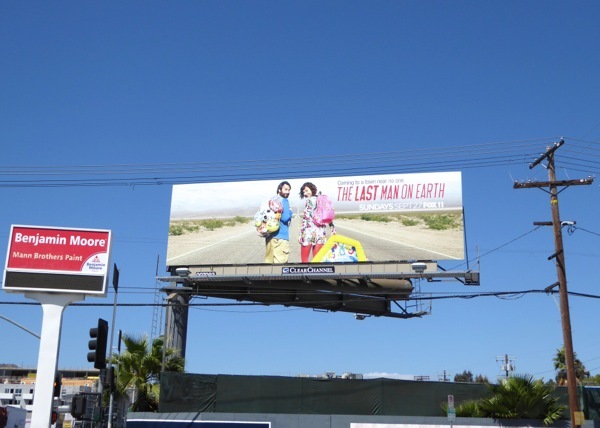 These colourful sophomore season billboards hint at the essential supplies you'd need to survive in world that had been ravaged by a deadly virus that wiped out the rest of the population, balls covered with faces for company and a paddling pool to keep cool (and play all kinds of fun games no doubt). 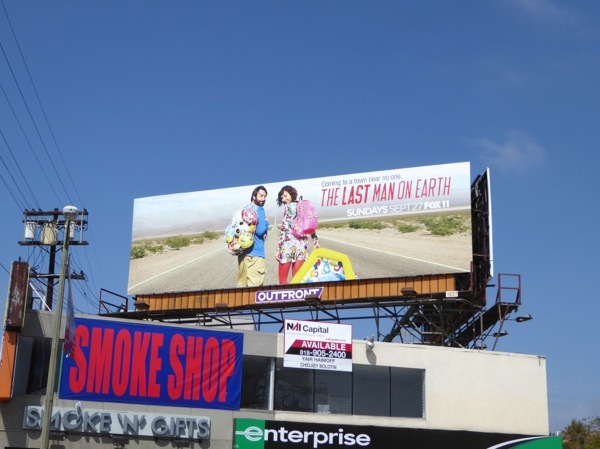 The ads were first spied along La Cienega Boulevard on August 19, plus later above La Brea Avenue on September 6, 2015. 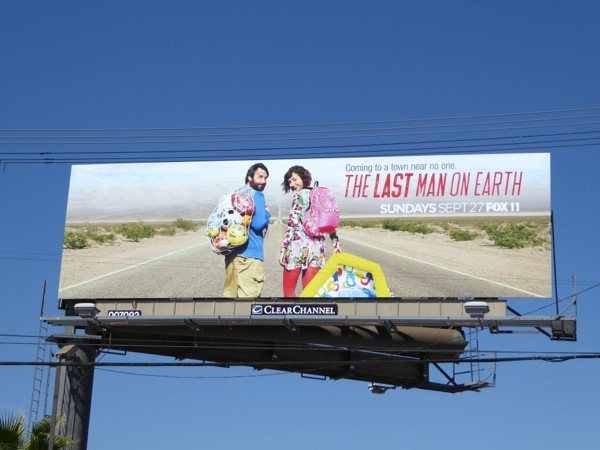 If you're a fan of the show, be sure to also check out these season one and Emmy billboards for The Last Man on Earth. It's almost that time to hit the road again, will you be along for the journey? 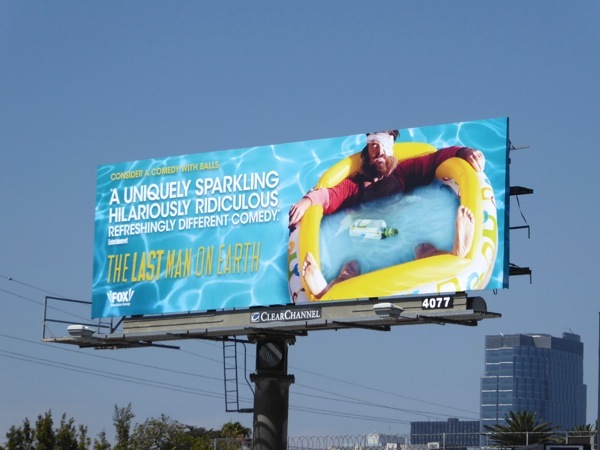 UPDATED: Last year Will Forte's freshman comedy garnered four Emmy nominations, so how do you think it will fare this season? 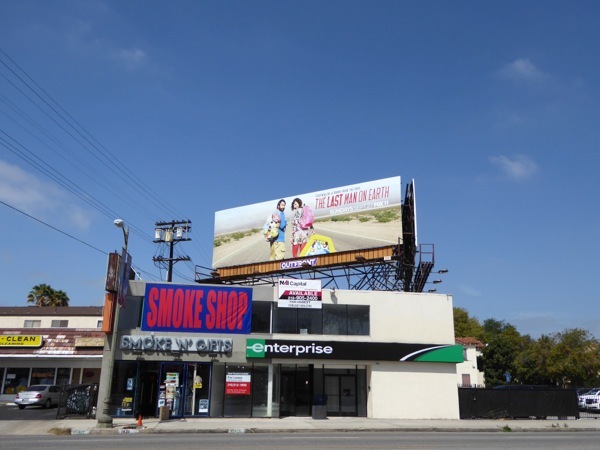 To help grab the attention of Emmy voters this fun season two consideration billboard was spied along Pico Boulevard at Overland Avenue on June 2, 2016. 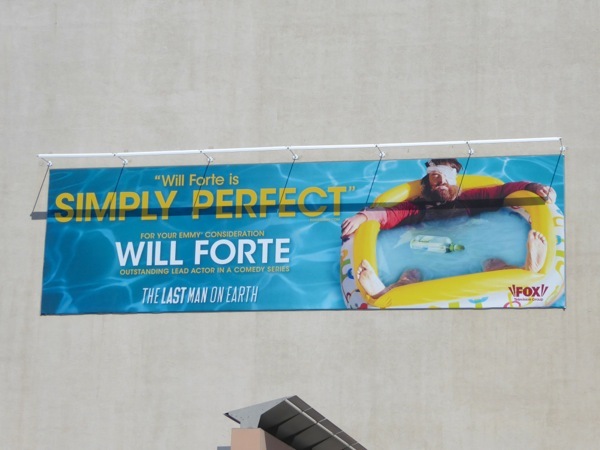 UPDATED: Will Forte was once again nominated for an Emmy award for Outstanding Lead Actor in a Comedy Series and received this amended Emmy nomination billboard on the side of Fox Studios, spotted along L.A.'s Pico Boulevard on August 22, 2016.